If your stylus will not stay locked in your iPAQ silo anymore and you keep losing your stylus. 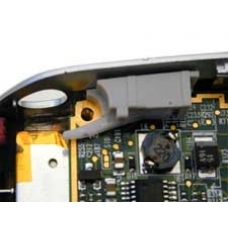 This is the repair service for you, it involves fitting the very latest hard wearing revision of stylus latch / lock for the iPAQ direct from the manufacturer. This is the hard wearing latest A02 revision iPAQ stylus lock for the 3100 range of units this spare part comes direct f..